According to this report by Pulse, the sound-analyzing software Shazam, which listens to a song for a few seconds then spits out the name and artist of the previously unknown song just became a whole lot more relevant in the EDM community. The popular app just made a deal with Beatport, a website we’re all too familiar with. The upshot? 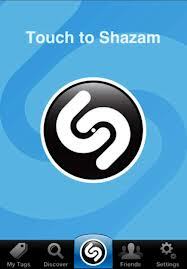 Shazam will add over 1.5 million of Beatport’s tracks to its database of sound waves. For your average concertgoer, this means finally being able to go to shows and find out the name of that obscure song your favorite DJ is playing with the click of a button. However, for the DJ on the other side of the deck, this essentially means automatizing something that performer has spent hours and hours doing, reducing all his hard effort to find obscure tracks to an effortless click. As both a fan of music and an amateur dj I am torn on the matter. I have been to many a show where I have been in need of something just like this. Literally countless times. And now that this app’s integration with beatport is a reality, I can’t pretend I’m not excited to use it next time I go to a show. At the same time I still sympathize with the DJs… Part of the value of a DJ is the ability to make a unique set utilizing many rare and little-known tracks. If these tracks are now able to be snagged up by the public who didn’t do any research at all other than go to a show, then it does feel like the DJs are getting cheated a little bit. All things considered however, at the end of the day, we’re all here to just enjoy the music. It certainly isn’t a crime to want to discover.